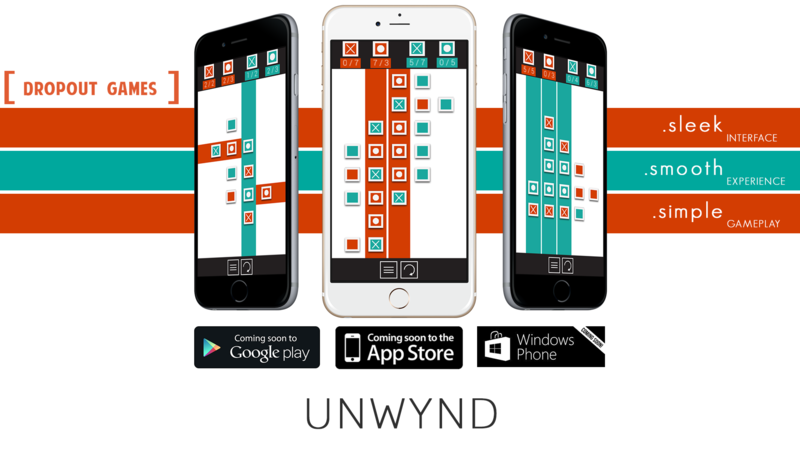 UNWYND is made with pure intention of offering a very sleek and sharp puzzle experience to the fans of puzzle games. 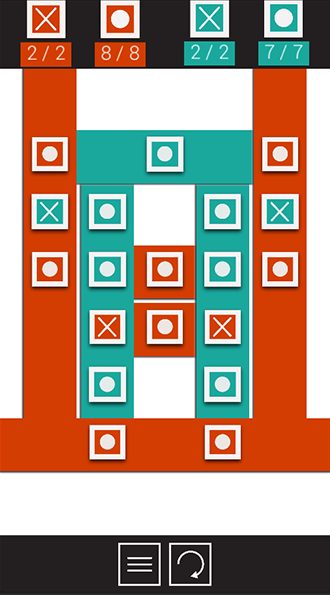 The game employs a simple swipe based mechanic in order to solve meticulously crafted combo - based puzzles. There is heavy emphasis on letting the player paint unique "looking" solution to each puzzle presented on the screen. 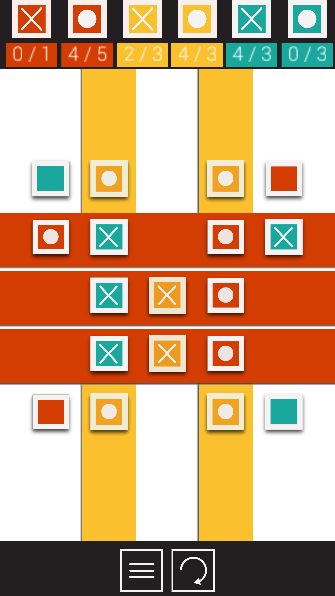 Each solution can be achieved in multiple patterns depending on player’s approach to gestures.The core of game is based on color and symbol matchmaking. 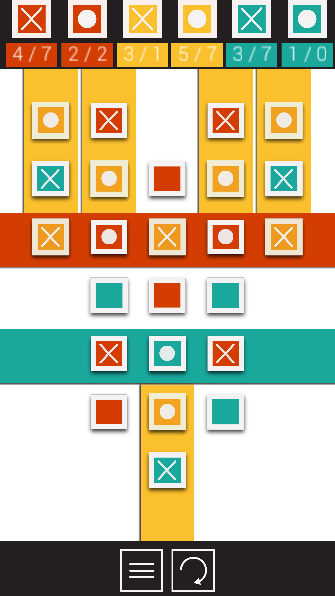 With swift gestures ,players need to pull in colored ribbons that mark the blocks on screen based on their respective colors resulting in different combinations of X and O patterns. 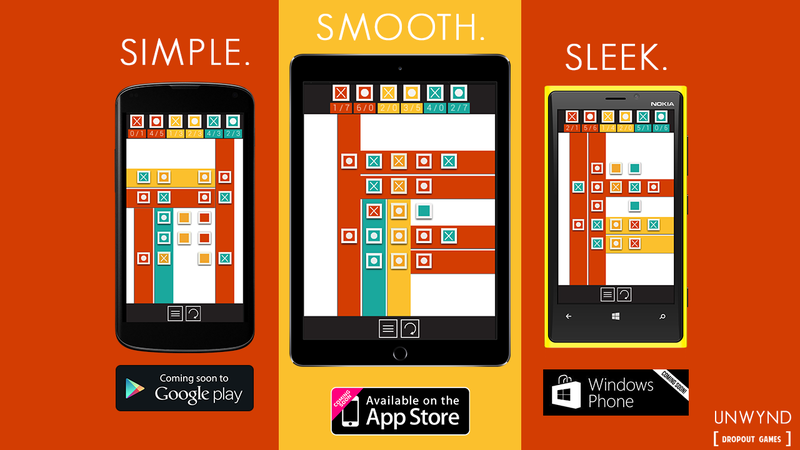 UNWYND releases on Android and Windows Phone on 9th February and on iOS in March. To start with the adventure, the studio needed a game. They dug their pile of concepts and searched for a small but interesting concept to start with. That's where UNWYND came in picture. It was a concept that was prototyped by Sujeet in 2013 on Corona SDK and lied there still, waiting to be made for over a year and a half. He pitched it, showed the prototype and Ankush Madad agreed right away. 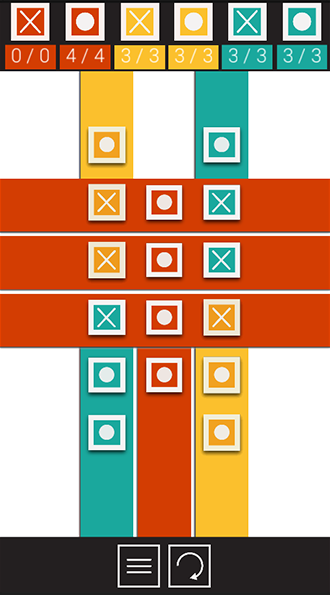 Inspired by the classic game of Tic-Tac-Toe, UNWYND features some amazing color based puzzles. Over 90 beautiful level patterns representing different objects, laid out in 3 different chapters and there’s more on their way. Gesture based gameplay where Dropout Games lays down the puzzles and players “paint” their own solutions. Clean and sleek art style that adds to game’s overall appeal. Trailer music and sound by Ashley Read, known for his work on AAA titles including EVE: Valkyrie, Watchdogs and The Crew. 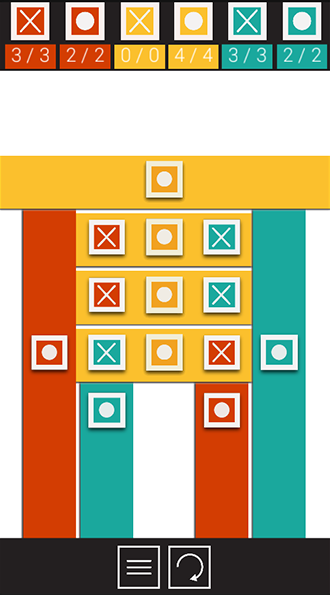 "UNWYND is a fun puzzle game that is family friendly and thought provoking." "Overall, I liked UNWYND and think most will find it to be a challenging, entertaining Windows Phone game..... and we see it as a 4 to 4.5 star title." "Unwynd proved to be a nice time-killer – if you like using your brain, that is. It’s not an easy game! 7.5/10 "
"This is a great puzzle game for the casual or more advanced fan of brain-teasers, as it makes you think with colors and consider every move you take." "The gameplay is fresh and enjoyable for the entire family and kids; it gives the brain a small workout to either charge up or cooldown." Valid from 9th February: https:. Valid from 9th February: http:.